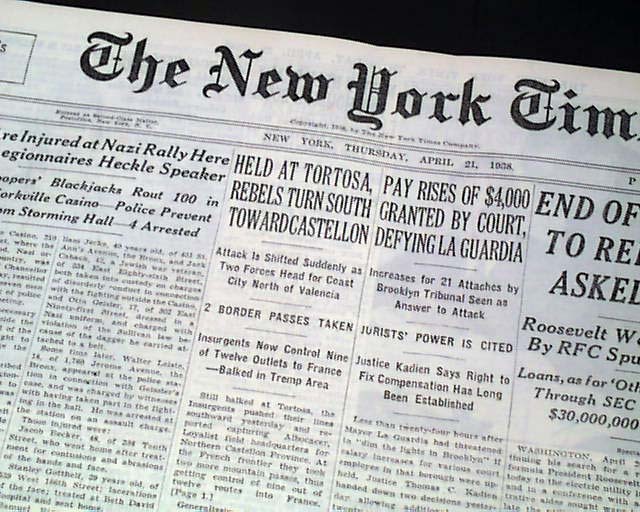 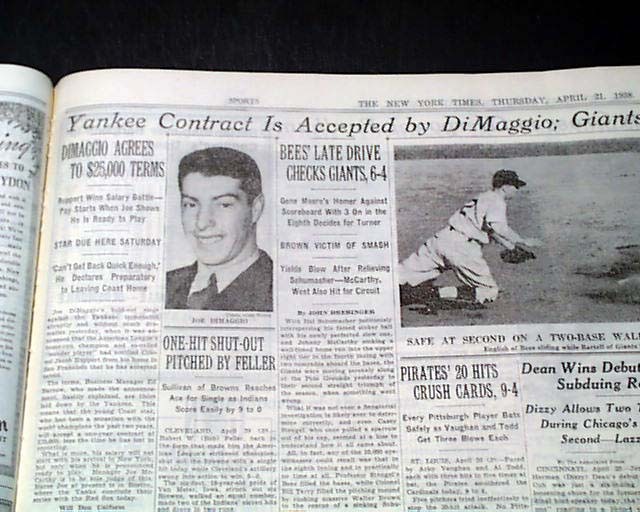 The sport's section (page 23) has a four column headline: "Yankee Contract Is Accepted by DiMaggio" with subheads and photo of DiMaggio. 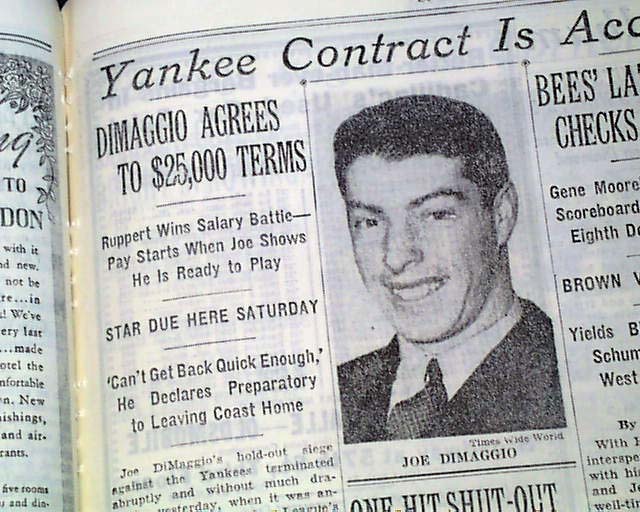 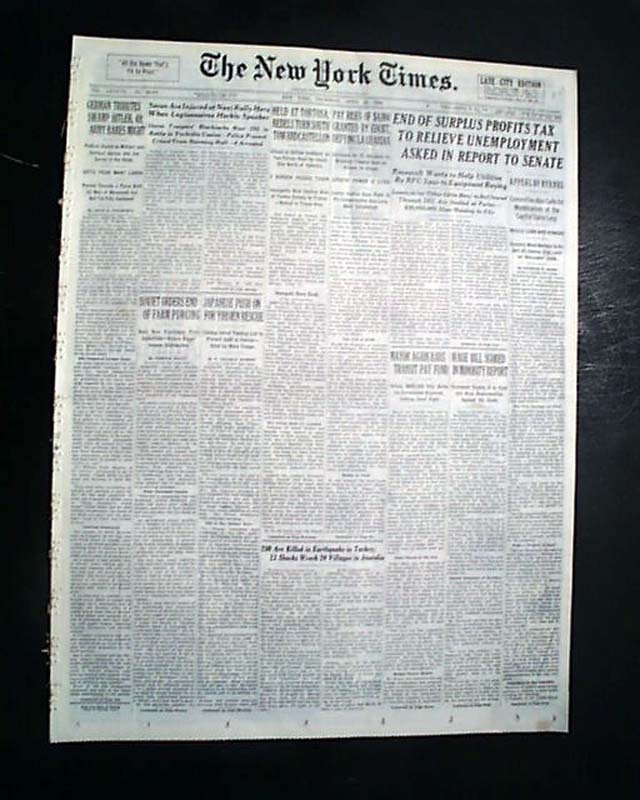 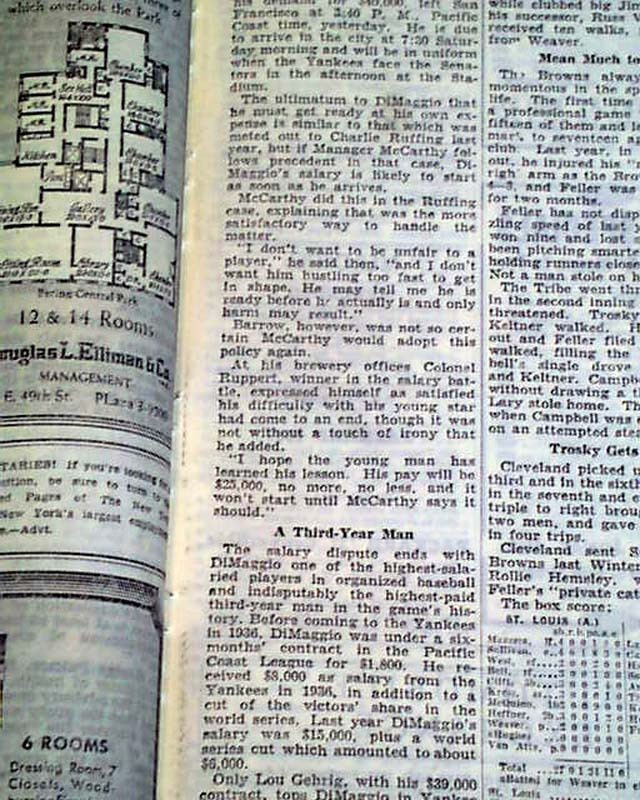 (see) First report coverage on Joe DiMaggio's contract signing after just two seasons with the New York Yankees. 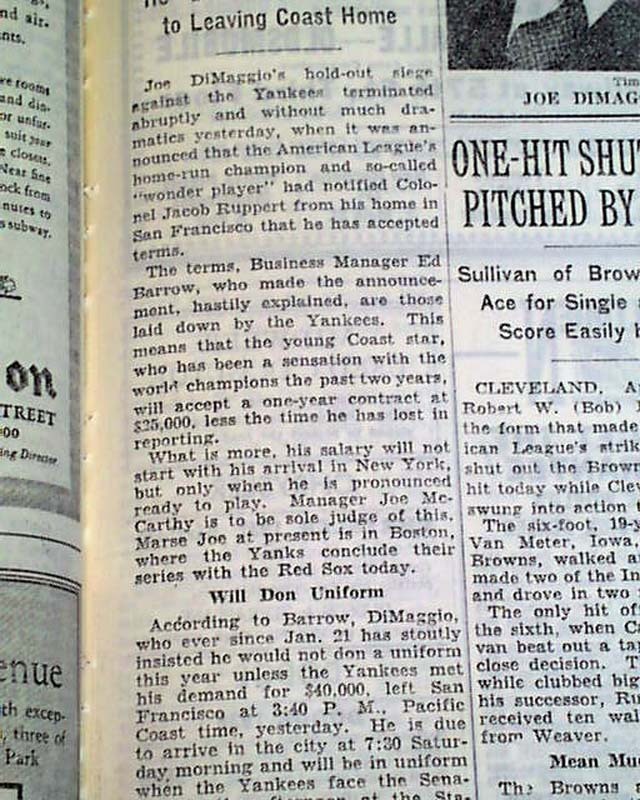 He wouldn't be nicknamed the "Yankee Clipper" until 1939. 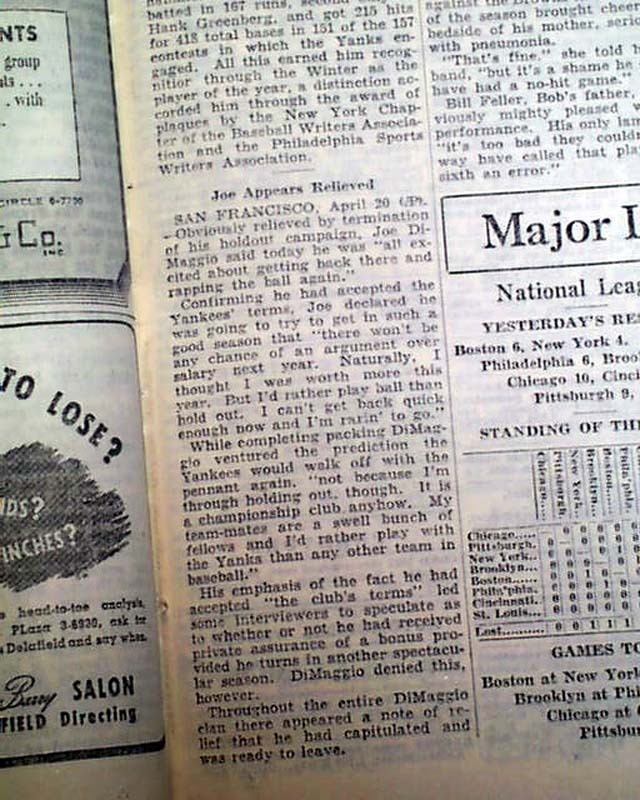 Great to have in this famous New York City publication.